Our law firm provides strategic planning to avoid unnecessary cost and delay in the administration of your estate and distribution of proceeds to your heirs. The Law Offices of Tanya K. Streit, P.C. provides estate administration and legal representation in uncontested Texas probate proceedings. As an experienced Texas probate attorney, Tanya can guide you through the probate process efficiently. Before opening probate, we will discuss the various types of probate and potential alternatives. Tanya will carefully review all of the assets, debts and relevant documents to confirm the substantive terms of the documents and to verify that they satisfy legal requirements. The executor of the will is the one identified in a will who is charged with opening probate and conducting the probate process. It is essential for the executor to understand the responsibilities and obligations of being an executor, because mistakes may create exposure to liability to the heirs or beneficiaries of the Decedent’s estate. Tanya can make sure that you understand your responsibilities so that you avoid unintended liability. Our Austin area probate law firm carefully guides clients through the development of an estate plan that may avoid probate entirely. Anyone in Texas who dies without any estate planning documents will have to have their estate distributed through intestacy proceedings in Texas probate court. This means that your estate will be distributed according to state law formulas rather than according to your intentions. The administration of a will is also conducted under the supervision of probate court. 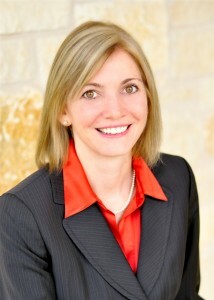 Tanya represents clients in probate proceedings and estate administration throughout Travis County and Williamson County. We offer a free no obligation initial consultation so that we can review your situation and outline your legal rights and available options. Call today at (512) 637-1310.